Having the right legal counsel makes all the difference. At SEIDENFELD ASSOCIATES, LLC, our attorneys and support teams provide you with the solid legal advice and representation you deserve. Since opening in 1984, our firm maintains a deep commitment to our clients, putting forth the right resources and teams to ensure your needs are met and your case receives a favorable outcome. Our team has won countless cases and helped hundreds of clients with complex legal matters. 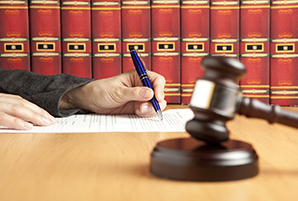 From settlements and mediation to federal trials, we go the extra mile to ensure your rights are upheld. Whether you are planning an international transaction, facing tax issues, seeking an estate plan, or structuring a business transaction, we can help. Our team has a diverse background and years of experience. Consultations are free. Contact us today at 631 613-6666 to set up an appointment to have one of our attorneys look over your case or legal matter. It could be the best legal decision you’ll ever make.